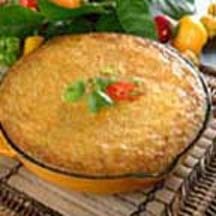 CooksRecipes has quality, kitchen-tested recipes for Tex-Mex and Southwestern-style hamburger casseroles and baked dishes that you can count on for successful deliciousness. Corn tortillas filled with seasoned ground meat, onions, olives and cheddar cheese, baked in a not-too-spicy homemade enchilada sauce. 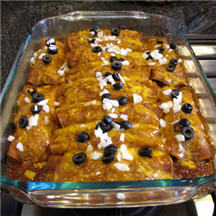 Serve this delicious casserole in wedges topped with your favorite salsa and sour cream. 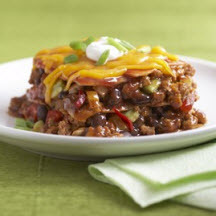 This layered, ground beef and black bean enchilada casserole is easy to assemble and sure to be voted a keeper with the whole family.